Think Right offers a brand new method of education. It is revolutionary to our current system and pace of learning. You are going to Supercharge your child’s learning by gentle yet very powerful techniques of brain development. 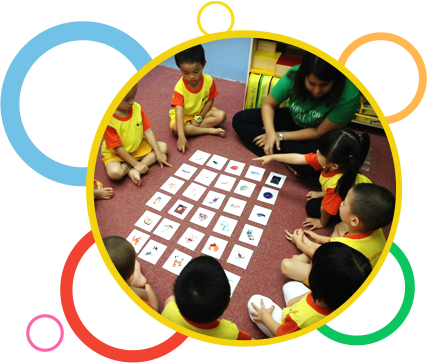 Right Brain education is a program which provides loving and enjoyable stimulation to your child’s brain right from Early childhood giving him an accelerated start in life. The program is based on decades of research and proven Techniques that have helped raise kind hearted,warm, intelligent, and happy children. In the 21st century Right brain education is an essential teaching tool that will unlock the creative genius of your child and give him a super start in school and as he grows up, he will experience whole brain development. 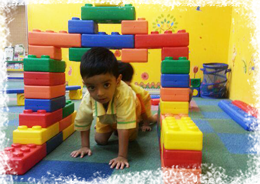 Think Right Program has been developed very carefully keeping a child’s sensitive needs in mind first. Here is the Tip of the Iceberg of the activities we will do in class to get the Right results. Through music we put the child in his alpha wave state which is said to be the best state of mind to Absorb information like a sponge. Once, in this state, the mind can actively work with all the images stored in the subconscious mind. Eye Exercises strengthen the ability to focus, and increase your child’s scanning speed. This is a very important preparatory step towards speed reading. Through guessing games, children develop heightened sense of intuitiveness. Every child is born with an active ESP, If not stimulated, they lose it by the time they turn 6 years old. Mental Imaging is the powerful process of creating vivid two- and three- dimensional images in the mind. This is An essential tool for creativity and imagination. Memory Linking consists of learning items in order by including a nonsensical story linking system which encourages the brain to visualize each component in a fun, upbeat way! Photographic memory consists of remembering several things at once, in order or at random. Mandala, Spatial memory, Block memory, color memory are few of the games we play to strengthens the photographic memory of the child. We consider speed reading as an important goal of right brain education. Words are played at speed of 2x,4x and 8x To your child. 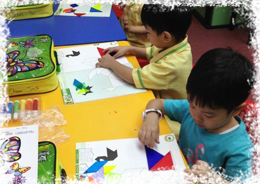 With practice their listening and reading abilities touch a new level altogether.